We have used other direct mail companies in the past, but when I attended an AADOM conference (American Association of Dental Office Mangers) and met with a representative from DentalMarketing.net, I was so impressed with what they do. They are reasonable in cost, they track everything, provide great training, and they let me know how we are doing as a practice with our phone skills in scheduling appointments. It is AMAZING! I also love all the follow up to discuss each campaign, and we’ve even been able to target specific age-groups for specific types of promotions. The postcards are great quality and the team is very professional with each mailing. They have given us fabulous ideas on layouts, etc. We tell them overall what we want with each campaign, and they will send us options, or put them together for us. They have been great with proofs so we can make sure everything is on the card, and placement is exactly where it needs to be so we get the BEST product possible. Corey and Jim have been amazing to work with! Their follow up is top notch. We were a startup practice in 2007, with 3 employees. 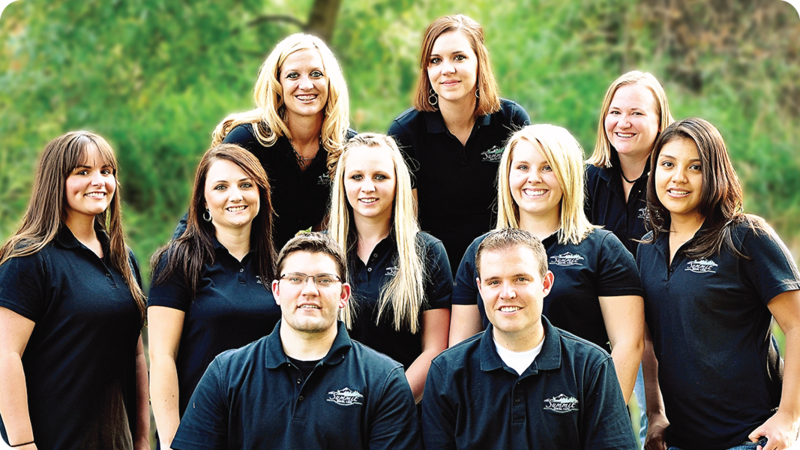 We have experienced continued growth, and now have a team of 14 — and still growing! We average 70+ new patients per month from the mailers, as well as other direct patient referrals we get from existing and new patients that have come from DentalMarketing.net postcards. I often recommend them to other colleagues through AADOM! DentalMarketing.Net is the BEST at what they do! !